The very word ‘Tasmania’ conjours images of its own doesn’t it? Soaring mountains, lush rolling hills, rugged coastlines, layers of history, wonderful food, cold winters, the holiday isle. It’s no surprise that Tasmania ranks as one of Australia’s favourite holiday destinations. It is stunningly beautiful and packed with adventure in such a small place. It’s a favourite for honeymooners, adventure-seekers, and grey nomads alike. But what about families? 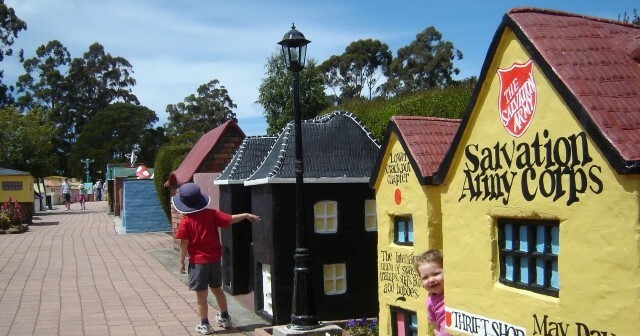 What’s it like to holiday in Tasmania with the kids on board? How should you get there? When should you go? Where should you visit? How should you get around? For how long? What’s the weather really like? 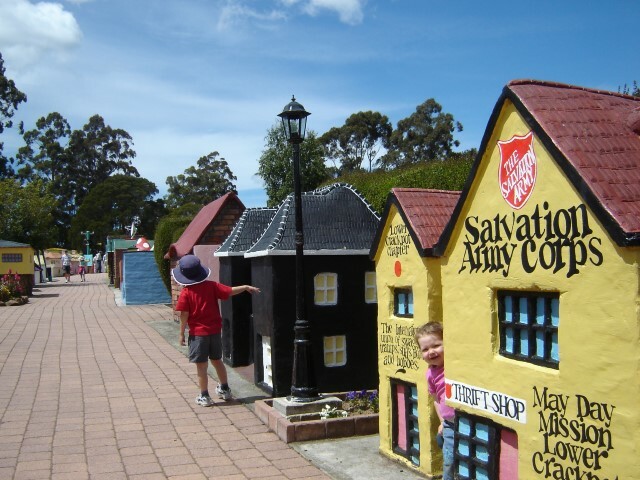 We’re going to bring you two in-depth stories on travelling Tassie with the family. One with all the general background info you’ll need, and the second with our top family destinations. Later on we might just sneak in a little story about all the great family holiday spots that the locals wish you didn’t know about! Let’s start with the obvious. Tasmania is absolutely a family friendly holiday destination. There are heaps of great places to visit that cover the whole range of history, spectacular natural scenery, wildlife, great beaches and some very fun family-oriented tourist attractions. No matter what your family loves to do, you’ll find plenty of it packed into this relatively compact island. History is layered deeply in Tasmania, with recent and colonial times, a rich indigenous cultural history, and geological wonders that tell the story of a land formed over millennia. Often these historic layers are present in the same place and offer a wonderful opportunity to help kids understand not only our nation’s recent history (such as convict and early European settlement) but the much longer history we share as well. One issue you might want to consider is the violent and difficult encounters between indigenous Tasmanians and the European settlers. If your kids are a little older this can be a valuable story to unpack with them. The natural world is truly a highlight. Incredible old-growth forests, stunning coastlines, deep natural harbours, steep tumbling rivers and more abound in Tasmania. 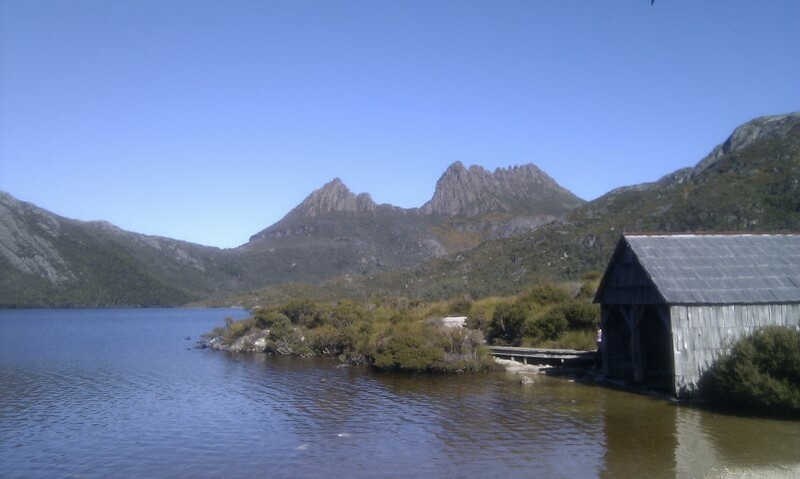 Many of the highlights of a trip to Tassie take in this aspect of the place – from the iconic Cradle Mountain to the wonders of the Tasman Peninsular. Native wildlife is plentiful too, and you’ll quite likely spot echidna, wombats, wallabies and Cape Barren geese just to name a few. And for birdwatchers? The place is paradise. Set up an animal list for the kids and play a bit of wildlife bingo to help while away the travelling hours. 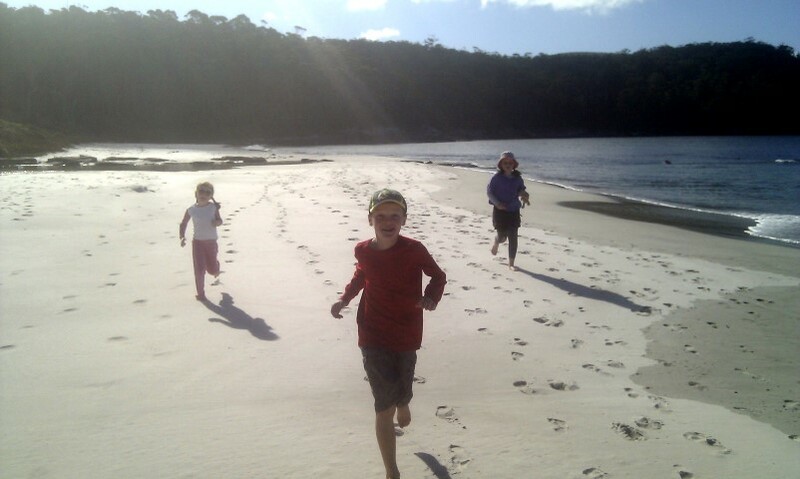 If you’re a family that loves nothing more than adventure…then Tassie is definitely your place. Wonderful bushwalking, canoeing and white water rafting or sea kayaking, exploring forests and mountains are just a few of the outdoor options. One growing adventure attraction in Tasmania is an extensive network of mountain bike parks – so if that’s your game then you’re in for a treat! There’s no getting away from the fact that Tassie is located in the deep south – at least relative to the rest of Australia. So it can be pretty cold there, particularly in winter. The peak season for travelling is definitely the early part of the year. From January through to nearly the end of April, the weather in Tasmania is generally stunning. Warm days, lovely nights, stable conditions and relatively little rainfall make this the ideal season. By May it’s getting pretty cool, and the winter wet season arrives. Mid-winter minimum temps are typically around zero close to the coast, with day time maximums in the 9-12 range for Hobart and Launceston. Up in the hills it can be a lot colder (a lot!). Tasmaians come out of hibernation late September as temps increase, and the flowers bloom generating magnificent spring scenery. It can be windy and a bit blustery right through to Christmas – and in fact snow on high peaks is possible at any time of year. Our last visit to Cradle Mountain was in January….and it snowed on us then. If you’re limited to school holidays – then January or the Easter break would definitely be the pick of times. 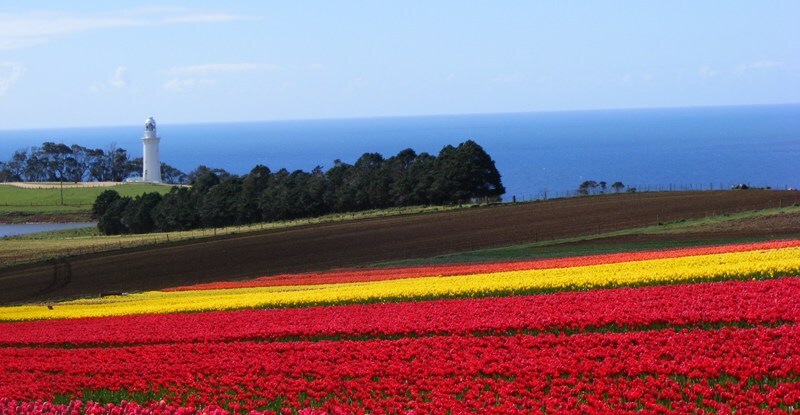 If you want to see incredible tulips on the north coast, or the magic Hobart Botanical Gardens in full bloom, then shoot for late September/early October. From the mainland, it’s either fly in, or catch the Spirit of Tasmania ferry service from Melbourne. Major airports are in Launceston and Hobart – and it makes good sense to arrive at one and depart from the other if you can plan your schedule that way. There are smaller airports at Burnie and Devonport. Most of the major airlines fly into Hobart and Launceston, either direct from most capitals, or with a connecting flight through Melbourne. The Spirit of Tasmania is a fun way to travel, and enables you to take your own car (and caravan if you’re a caravanning family). For a longer stay, it’s definitely worth considering. Overnight services run all year round between Melbourne and Devonport, with additional day crossings scheduled through the busy summer season. You can book sleeper cabins for the overnight journey with a range of cabins available for different budgets. They’ll even setup a port-a-cot if you’re travelling with an infant. Don’t, whatever you do, be tempted to take the Ocean Recliner option if you’re travelling with kids. They’re airline style seats at the back of the ship, and it can be a pretty sleepless way to travel for a family. Bass Strait is a bit notorious for rough conditions – and it’s true that the crossing can be pretty bumpy at times – and it’s really pot luck. 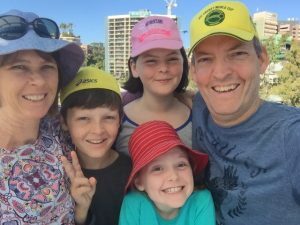 On one trip we made, conditions were pretty bad once we exited Port Philip Bay into Bass Strait – but the kids were all asleep by that point and slept all the way through to Devonport the next morning. One tip – 25 minutes south of Devonport (towards Launceston) is the excellent Elizabeth Town Bakery Café…a great stop for breakfast when you’re just off the boat! If you’re travelling with a family, you’ll almost certainly want to hire a car or motorhome, or take your own. There is a decent bus service, but there aren’t always lots of choices for travel times. There is no passenger rail in Tasmania, and there are no internal passenger flights to speak of. First time visitors to Tasmania are often struck by how long it takes to travel from one place to another. The Midland Highway linking Hobart with Launceston and then the north-west Bass Highway as far as Devonport and Burnie will carry traffic at the 110km/h speed limit, and you’ll make good progress between those centres. Everywhere else, speeds are much lower due to winding, hilly roads. Expect to average around 50-60km/h on other highways and you’ll be close. For example, the 300 km trip from Hobart across to Strahan on the west coast can easily take 5 hours or more. If your kids (or you!) suffer from motion sickness on windy roads, then plan for longer travel times and more frequent stops – or stick close to those two major highways mentioned above. On the other hand, if you love driving winding roads, then Tasmania is going to be a true driver’s paradise! The motorhome is definitely a fun way to travel around Tassie with a family. You get to unpack properly, and the kids sleep in the same bed every night – no matter where you find yourself. There are plenty of places to setup camp at night. It’s an option worth considering. Many of Tasmania’s highlights are in protected National Parks. It’s a good thing, and the Tassie Parks and Wildlife Service do an excellent job. To help with funding all the services on offer, visiting many of the parks requires a permit. You can buy day, annual or holiday passes that will cover your entry anywhere on the island. Car rental companies can help, you can pick one up on the Spirit of Tasmania, or you can book online. As a well-travelled tourist destination, you’ll find every different type of accommodation in just about every corner of Tasmania. Motels, tourist parks, and high-end resorts are plentiful. With the possible exception of the Christmas holidays, and local public holiday weekends when it will pay to book ahead, there are very few times when it’s hard to find somewhere to stay. If you’re a camping, caravanning or “cabin” family used to some of the really big, modern and very well appointed caravan/tourist parks on the mainland, you should know that there aren’t too many of this type of park in Tassie. The caravan/camping parks are plentiful, clean, tidy, affordable and enjoyable…they just aren’t as big and often don’t have the big-ticket kids activities that are common elsewhere. There are some exceptions, and the “jumping pillow” is one increasingly common feature of Tassie tourist parks that kids love. On the plus side, the locations of tourist parks are generally stunning, with ocean-front or riverside parks all over the island. At the other end of the scale, luxury resorts are scattered across the island, and you’re in for a truly memorable trip if the budget can stretch to that type of accommodation. There is so much to do in Tasmania, it would take months to get around all the interesting places. In a 2-3 week holiday, you really will just scratch the surface. We don’t say that to make you feel bad, more to just encourage you to relax, really enjoy what you do see, and don’t run yourself ragged trying to fit everything in. There’s always another trip to see the rest of the island! A Tassie holiday is typically a driving holiday – moving about from one place to the next. For family travels, we generally prefer to try and stay at least a few nights in each place, and do day trips, rather than moving to a new town every day. It’s so much easier than packing up every morning and unpacking at a new hotel or cabin the next night. You’ll be able to see a lot of the highlights of Tasmania if you base yourself for a few nights each in Hobart, Launceston and somewhere along the north coast (Ulverstone for example), with perhaps the odd one-night stop along the way to fill in the gaps (Bicheno, Cradle Mountain and Strahan might be the choices here). Stick with us for part two (stay tuned), and we’ll get to some detail about what to see in each different part of Tasmania.